Brown shrimp - the official state crustacean of Alabama and Texas. Photo by samandla on Flickr (all rights reserved; used by permission). Brown shrimp; [file:field-file-main-description] Photo by /[file:field-file-source] ([file:field-file-license]). Students from Fairhope Elementary School initiated the adoption of a state crustacean (as they did for the state amphibian and the state fruit of Alabama). 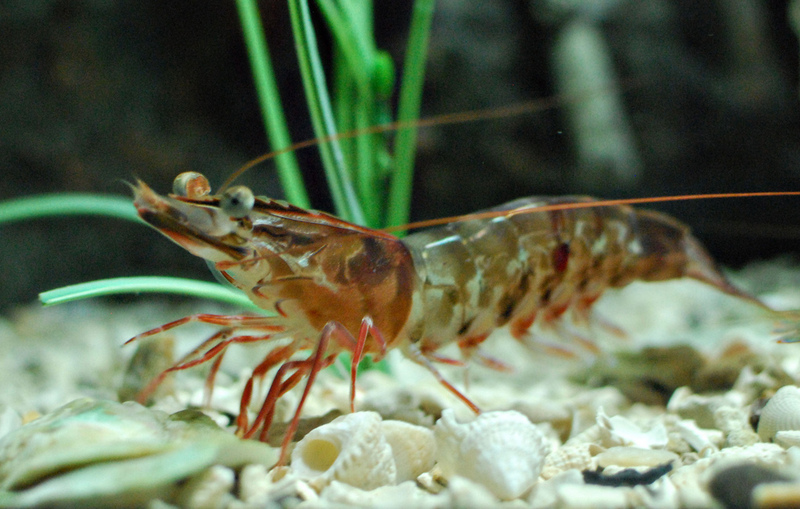 Brown shrimp are also called brownies, green lake shrimp, red shrimp, redtail shrimp, golden shrimp, native shrimp, and summer shrimp.